This year for Christmas, I have to say I think I've been spoilt completely! 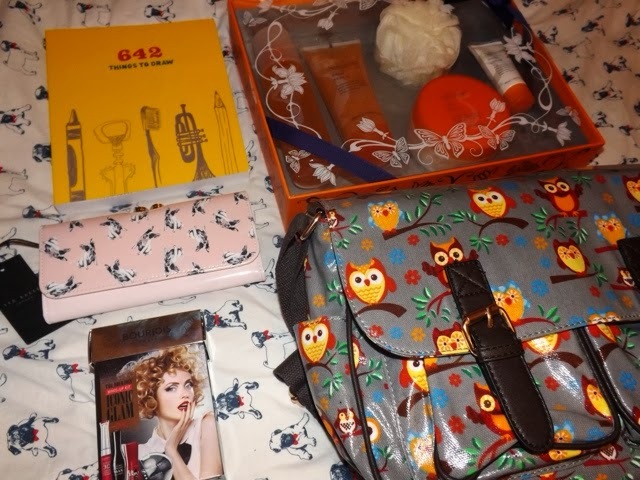 I got a lot of nice presents that I thought I could share with you today, from my family and from my lovely boyfriend. Christmas Day itself was a perfect day! We all woke up really early and unwrapped presents. My family loved their gifts from me, so that had already made my day. There's always the worry they're not going to like it! Christmas dinner was perfect too, and I clearly have eyes bigger than my stomach as I piled the roast onto my plate like there wasn't going to be enough left! I saw the boyfriend and his family in the evening which was lovely too, so we exchanged gifts then. I was soooo happy that he loved all his presents and we shared a moment thinking about how it was our third Christmas together, and how happy we still are. Perfect! From my family I got a load of lovely things! I got make up, beauty bits and a hair dryer so I can stop stealing my mums every morning! 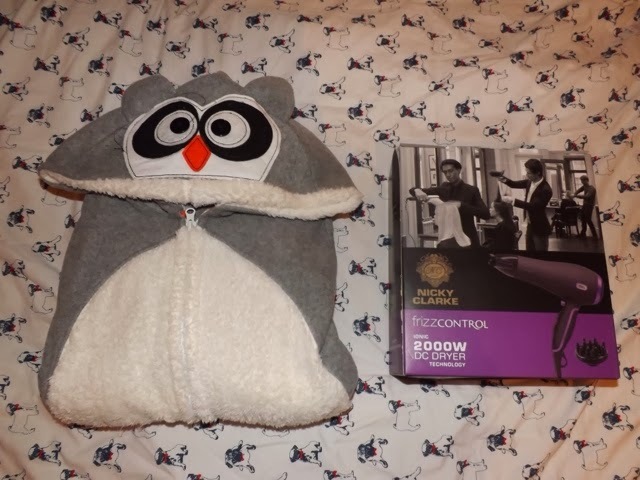 The owl onesie is a dream (with feet! ), and I can't wait to start drawing in my new book: 642 things to draw. Although I was already given a Ted Baker purse for my birthday, my mum managed to pick one up that's I saw in Bicester Village the other month! She said she didn't know John was getting one for me, but still gave it to me because it's different to my other one. I love it, and I'm happy I have two that will last me a very long time! My mum always likes to hide a present too, for us all to find on Christmas Day, and this time it was one for the girls to share and one for the boys. We went for a rummage and finally round two big boxes wrapped up in our mum's room. We opened them both up to reveal two flat screen tvs! In a hot pink for the girls room, and a black one for the boys! The perfect shared gift. 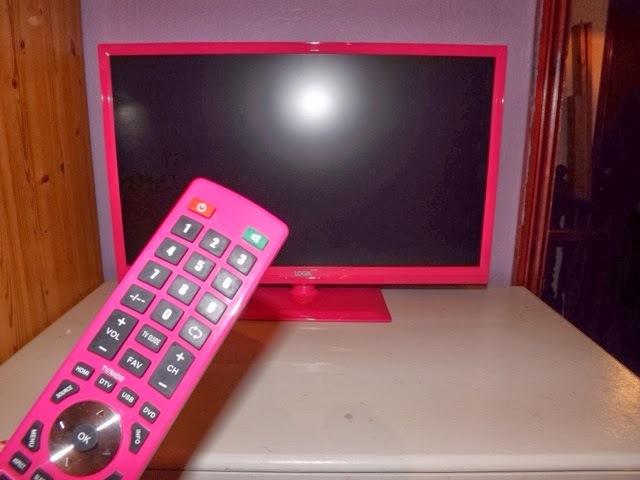 Our one has a DVD player and Freeview, so I think we're sorted for some television entertainment! I've also already plugged in my ps2 like a geek. The boyfriend spoilt me rotten again for Christmas as well as my birthday! He bought me so many nice things! And I even got a couple of presents from his lovely parents too. 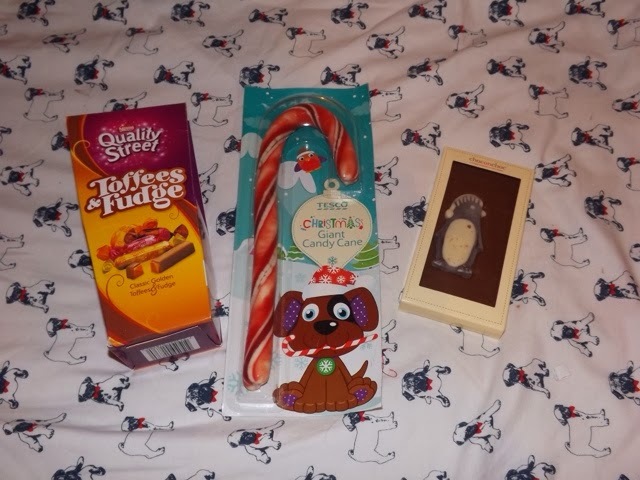 The stocking fillers made their way straight into my everyday bag, including some of the chocolates for snacking, as well as the manicure set, the Vaseline compact and my little Cath Kidston mirror (since I must be the only female who doesn't carry a mirror)! On top of all those lovely gifts, I was so happy to receive a perfume. I don't often get bought perfumes so this was a first for me! The boyfriend was spot on, and bought me Marc Jacobs Honey! It smells absolutely gorgeous and the box is just too cute. I've worn it everyday since Christmas and I find myself sniffing my own wrist at times...! 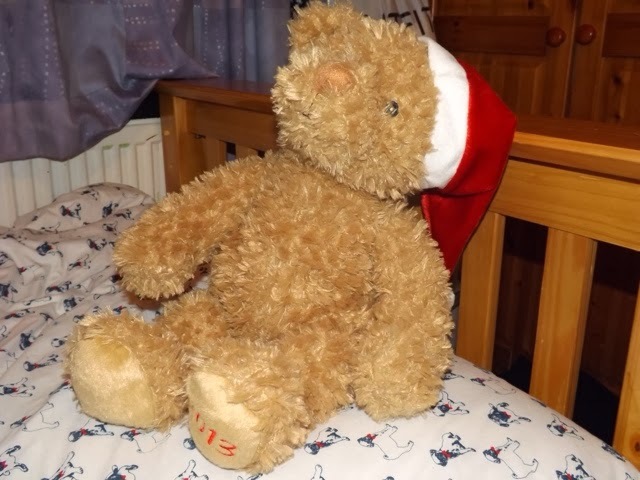 His mum and dad also bought me gifts too, which I was very happy with. 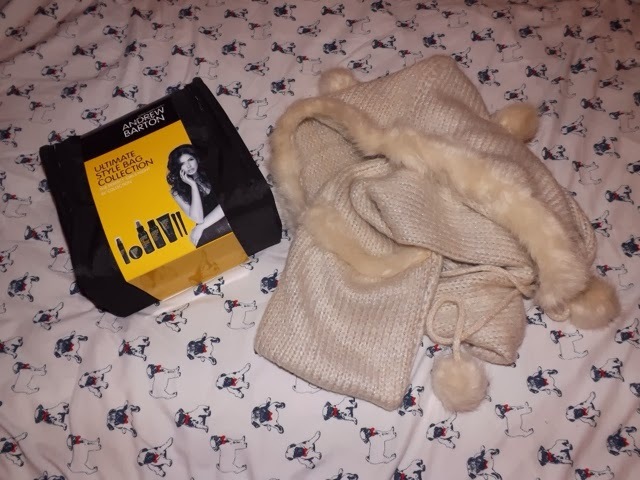 From them I got an awesome hair care set with a bag, which I cannot wait to try out, and also a cute scarf with a hood and pocket type gloves on the end! It is amazing and super warm. I can't wait to wear it out properly. Finally, I show you my big big present, and I was so shocked and so grateful to be bought it for Christmas, from the best boyfriend ever. It is my new iPad Mini with Retina display. 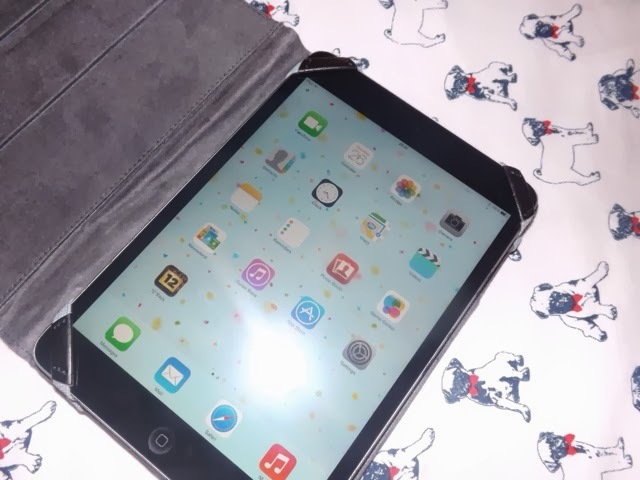 I couldn't believe my eyes when I unwrapped the paper to reveal the iPad inside and it was opened within minutes! 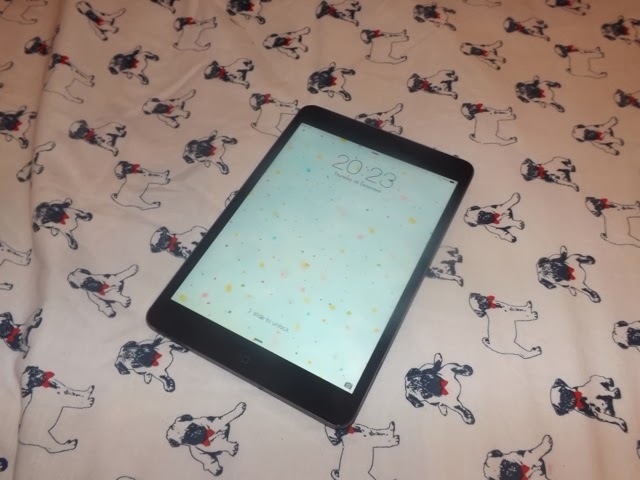 I didn't expect one, and though I didn't ask for one, the boy knew I wanted a tablet. He really out did himself and I truly am thankful for him giving me such a lovely gift! I've already used it lots, and it's going to be very useful to me for all sorts, from blogging and photo editing, to life organising and playing! 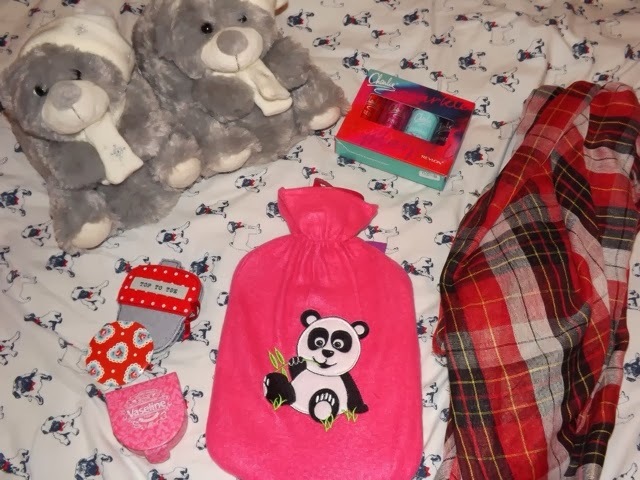 Thank you John, I love all my presents! The thing that made me happiest Christmas Day is that everyone loved their gifts from me as much as I lived mine from them. I'm always so worried they won't like it, so knowing I gave them good gifts makes me a very happy Cat. I'd like to say I spoilt them as much as they have spoilt me, but I may be wrong. I just want them all to know how much I love all my gifts and thank them all so so much again! What did you get for Christmas? Did you share them in a post too? What lovely gifts you got!